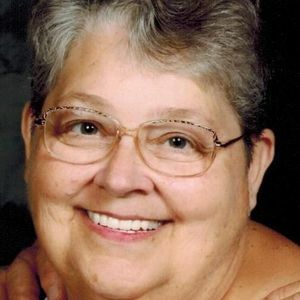 MaryLou Smeltzer, 72 of Rock Falls died Saturday July 28, 2018 at Rock River Hospice and Home in Sterling after a short illness. She was born on November 28, 1945 in Rock Falls the daughter of Charles and Bernice (Spencer) Sheen. MaryLou was a 1963 graduate of Rock Falls High School. She had worked at the Telephone Company and Northwestern Steel and Wire before being disabled due to Multiple Sclerosis. In addition to playing cards, dominos and doing jigsaw puzzles she loved fabric and quilting. Her faith and being involved in the creation of New Life Lutheran Church were extremely important to her. Survivors include her husband, Bob; her daughter Dana (Tom) Wronski of Sugar Land, TX, her son Kevin (Cindy) Brandt of Somonauk, IL, and daughter Dacia (Mike) Dennis of Sterling; her sisters: Cheryl Snitchler of Sterling and Donna Ackland of Rock Falls; her 5 grandchildren: Brandt, Zachary and Elizabeth Wronski; Megan (Mark) Dempsey and Brandon Dennis; and one great grandchild Owen Dempsey. Visitation will be held on Wednesday August 1, 2018 from 4-7 PM at New Life Lutheran Church, 702 West Lynn Blvd in Sterling. The funeral will follow on Thursday at 10 AM in the church. Burial will conclude at Oak Knoll Memorial Park, Sterling. Arrangements by McDonald Funeral Home. In lieu of flowers memorials to New Life Lutheran Church or to Rock River Hospice and Home would be appreciated.